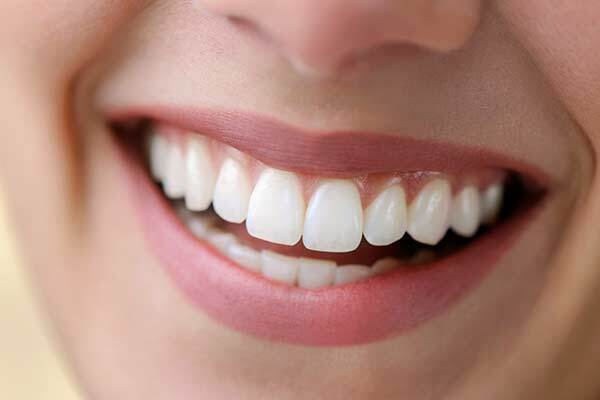 A bright white smile is considered a sign of youth, health, and vitality. Yet teeth naturally become dingy, yellow, and even stained over time. Dietary choices, genetics, medications, and overall health can play a role in the color of your teeth, but the reality is that most people can achieve a truly white smile only through tooth whitening. Here are 3 options for whitening your teeth. Over the counter products for tooth whitening include whitening toothpastes, rinses, and gels. As long as your teeth and gums are healthy, these products are not likely to cause damage, and they can temporarily boost the whiteness of your smile. However, they do not whiten as thoroughly or last as long as professional products. Professional tooth whitening, when backed up by home treatments, can last for a year or longer, though you will still need to see the dentist for a checkup and cleaning twice per year. You can have in-office whitening performed, which typically takes just one session, or if you prefer to whiten at home, we can provide a take home tray for you to wear at night for several days in a row. Composite bonding is an excellent solution for those who teeth need more help than whitening products can provide, but who do not want to invest in porcelain veneers. The flexible resin is easy to shape and contour, but it dries to a strong, tough finish. Composite bonding works well on stained teeth and small chips. However, it is not as durable as porcelain veneers, so you will need to avoid habits such as biting your fingernails and chewing on ice or pens. Porcelain veneers are typically considered the best solution for enhancing a healthy but unsightly smile. They are durable and designed to last for many years, and they reflect light in the same way as natural teeth. This allows you to fully remake your smile without concerns that it will look fake. Most of the time, just a few teeth in the front need to be covered, while the rest of the teeth are whitened to match. This keeps costs down and preserves the natural chewing surfaces of the back teeth. Of course, you will need to remember to have your teeth whitened regularly, as the veneers will not yellow over time as your natural teeth do. Although porcelain veneers cost more than composite bonding, they tend to last much longer. As long as you take care of your oral hygiene and do not put unusual strain on them such as cracking nuts with your teeth, your porcelain veneers are not likely to break. At one time, only those with just the right genetics and the very wealthy were able to sport a bright white smile. Today, there are a range of options at different price points, allowing virtually anyone to enjoy the smile of their dreams. If you are ready for an orthodontics evaluation from a caring and trusted professional, contact Jennifer Stachel Orthodontics today at (212) 877-7177.